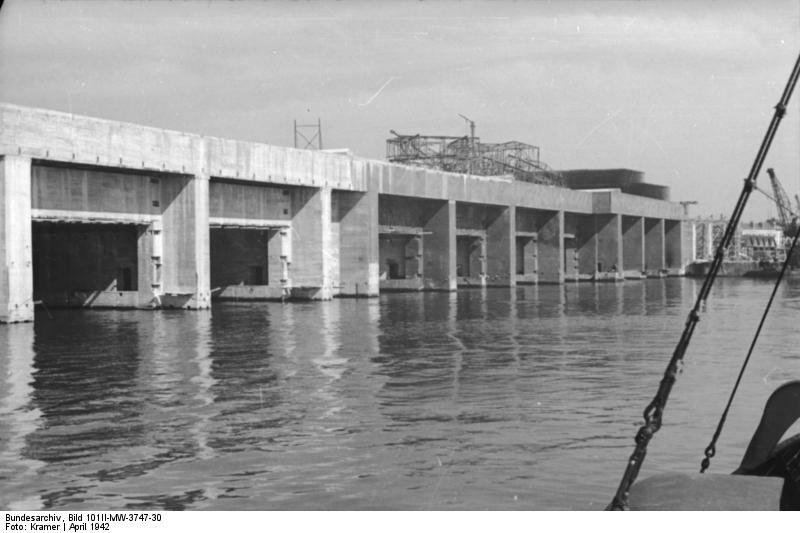 The German U-Boat fleet which fought in the Battle of the Atlantic during the Second World War operated out of a number of bases on the French coast which included Saint Nazaire. Immortalised in the film Das Boot, casualties among the Kriegsmarine who operated the U-Boats were high: a staggering 3 in 4 of the U-Boat crews became casualties in WW2. 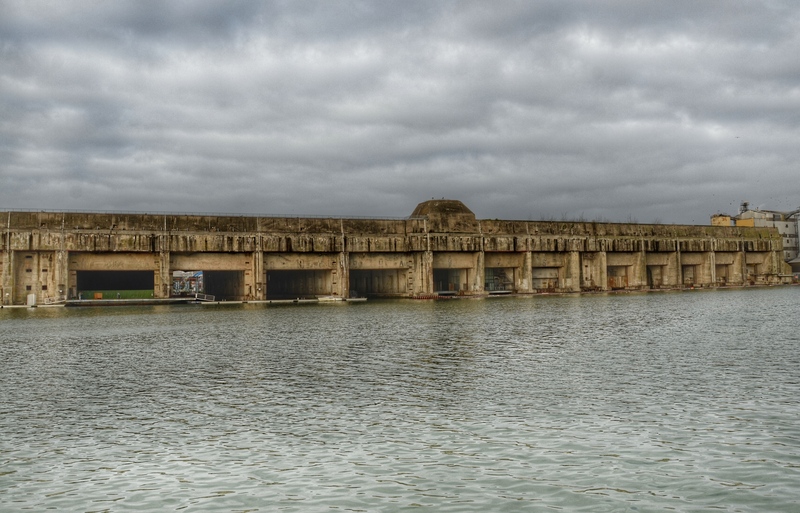 The U-Boat Pens at Saint Nazaire are typical of the ‘Nazi Megastructures’ to be found at sites like this. 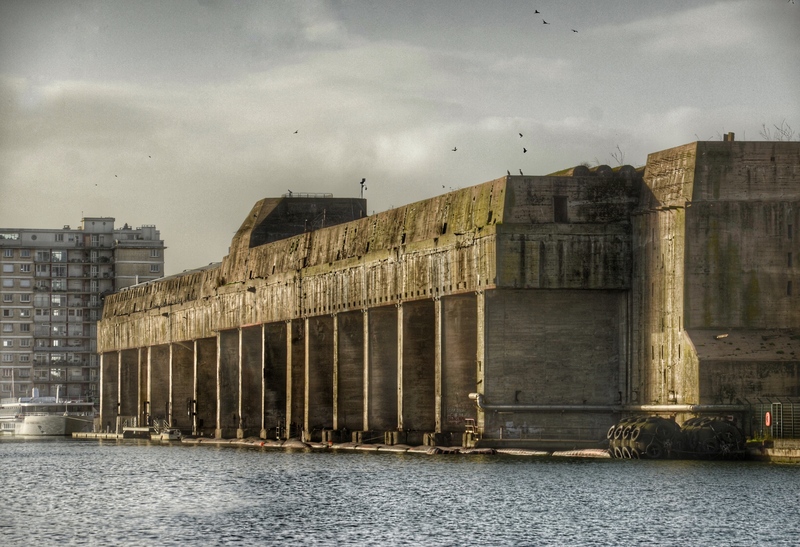 The U-Boat pens at Saint Nazaire were built between 1941-42 and came under attack during the Commando Operation here as part of Operation Chariot, although they were not damaged. In fact constant aerial bombardment did very little damage to them but completely destroyed Saint Nazaire with more than 500 civilians being killed here during the bombing. Today the U-Boat pens dominate the harbour area. They are open to the public and a new ramp takes you onto the roof of the main bunker where you can view the whole site from one of the Flak Towers. 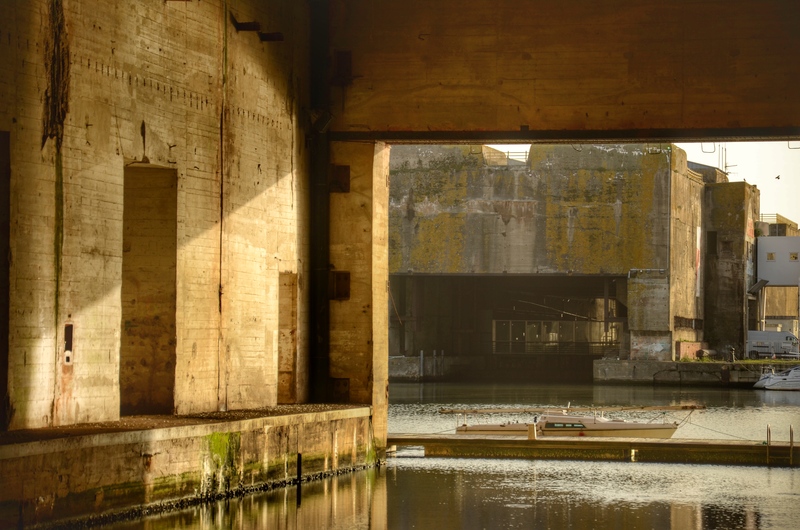 You can go inside the pens and see where the U-Boats docked and really get up close to this amazing piece of Second World War history. There is no doubt these bunkers are impressive but equally there is a dark side to them: not only the regime they once represented but the hundreds who died as forced labourers in their construction.